Complimenting our training course for Investigations in Professional Standards, the two-day Sancus Police Misconduct Meetings and Hearings course takes time to focus solely on misconduct proceedings that can be the result of an investigation. 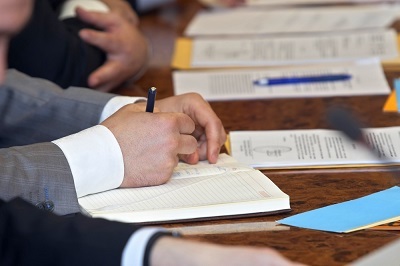 There is considerable legislation and statutory guidance on the subject of misconduct meetings and hearings but few opportunities to practice the procedure before undertaking a live case, sometimes now with members of the public in attendance. Examinations of findings demonstrate that not all cases could or should have been dealt with in the manner in which they were. As well as looking at the mechanics involved the misconduct meetings and hearings course also examines the decision making process leading to the misconduct choices. With legislative change having already occurred and more change on the horizon this is a good time to take stock of your framework and ensure that it delivers the best possible outcomes in a timely manner and according with legal requirements. The Sancus Police Misconduct Meetings & Hearings course comprises legislative and guidance presentations from a former Head of Professional Standards. It also includes discussions of alternative decision making options and legislation interpretation. And finally a practical exercise that involves the delegates in co-ordinating and handling a misconduct case through the various stages and empowers delegates to convene and manage misconduct meetings and hearings. Sancus Police Misconduct Meetings and Hearings training can be delivered for your organisation, at a venue of your choice and for up to 12 delegates. Because of the specialist nature of this training it is beneficial for us to discuss your exact needs and requirements.